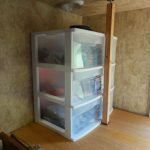 Last week we shared how storing our camper in the South saved us time and money this winter. 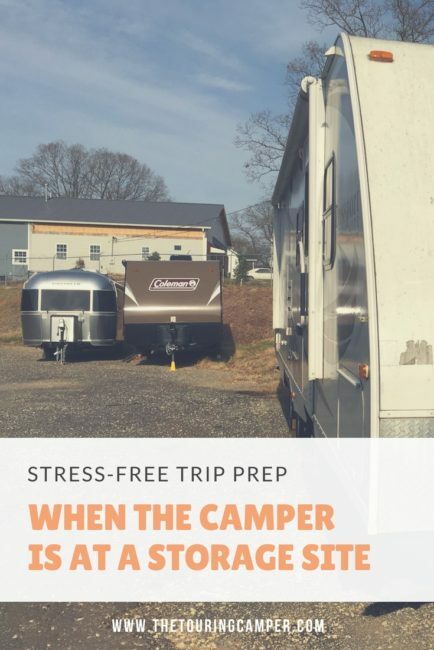 And while this plan worked out really well for us, having a camper in storage forced me to prep and pack entirely different from the way I typically get ready for our camping trips. 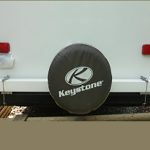 Usually our camper is parked right next to our garage, so loading the RV is as simple as walking out the front door with a bin of food, clothes, or gear. But now everything had to be packed into bins and bags, and then hauled down and back in our 12-passenger van (man, were we thankful for all that space!). 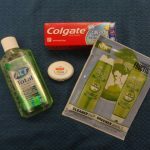 I use our packing printable before every trip to keep me organized with what I need to replenish or stock in the camper. 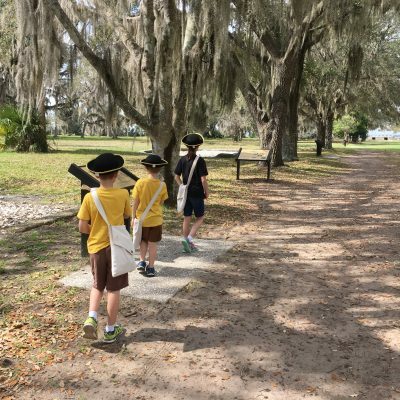 (To get the printable, just subscribe to The Touring Camper email list either in the sidebar or over here.) Before dropping the RV off at the storage facility, I take about 15 minutes to check our current supply of things like toilet paper, paper plates, soap, etc. Then when we get home, I know exactly what things I either need to bring with us or buy at the store on our return trip. Since we had to fit all of our gear for everyone in the back of the van (plus Christmas gifts for family members on the one trip), making the best use of space was a priority. We use a combination of storage bins and our favorite L.L. Bean duffel bags since they stack together well. 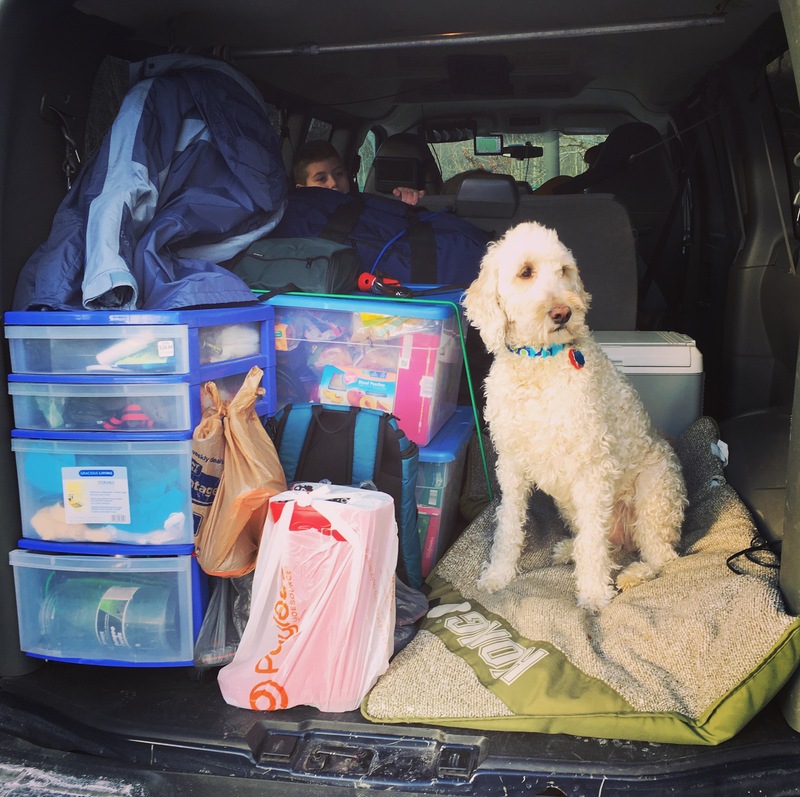 Olive, our goldendoodle, usually travels in the far back too, so we have to strap everything down to prevent anything from falling on top of her. I found that it was easier to only pack a limited amount of food and then go to the grocery store once we arrived in the South. 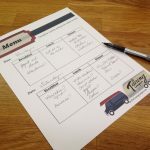 Instead of having to load a bunch of heavy food into our van–and then try to make enough room for it–it was so much easier to just have a grocery list already prepared for when we arrived. some cooking ingredients (like spices) that I pre-measured for the recipes I had planned. If grocery shopping at your destination isn’t feasible, another option would be to stop at a super Walmart (or other grocery store with a large parking lot) en route to your destination. Being able to take the groceries from the cart to the cupboards is a huge convenience! 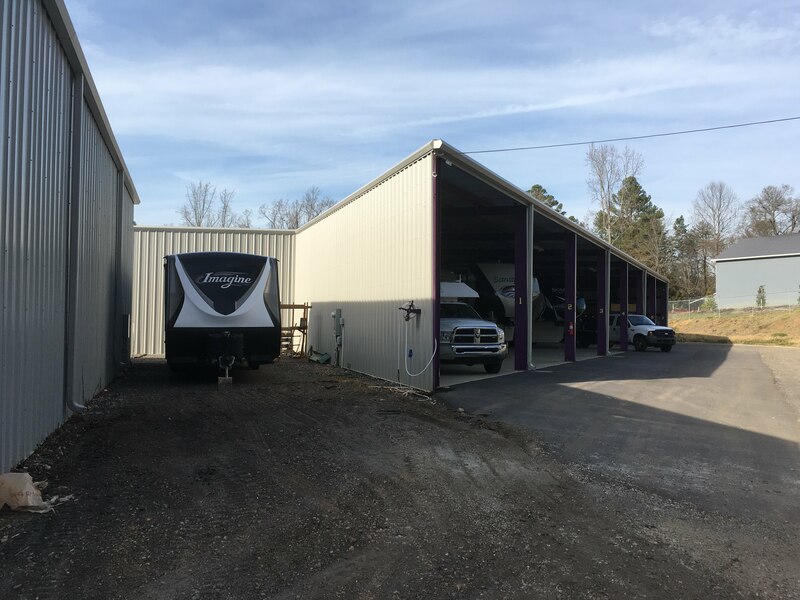 It’s probably one of the last things you want to do after a fun week or weekend of camping, but putting the camper away clean is like a gift you give yourself for your next trip. This might be as simple as vacuuming and wiping counters down really well. Other times this might mean washing floors and scrubbing the tub. But I can assure you that coming into a clean camper is so much nicer than having to clean it the first day of your next trip. So those are the things we have done to make storing a camper out-of-state manageable. If you have any additional suggestions, please leave a comment below! 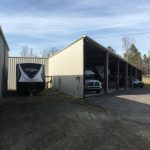 Thank you for all the tips about packing your camper when it is at a storage unit. 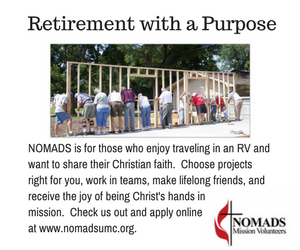 My husband and I don’t have the room at our home to keep our RV there with us, and we have been wondering how we can best pack it for a trip. I really like your tip about only packing a limited amount of food then go to a grocery store once you arrived at your destination. I think that would really help us save a lot of time on our packing. 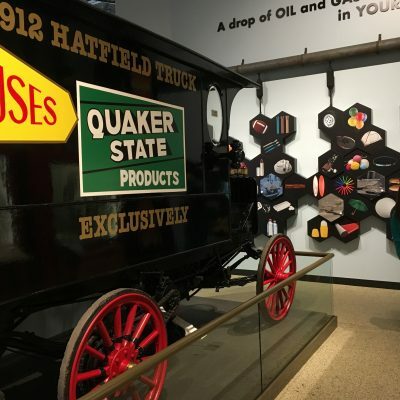 Hi Deb–thanks so much for stopping by and reading! So glad the tips were helpful. Having a camper in storage definitely presents some unique challenges, but once you figure out a system that works for you, it can be a seamless experience. 🙂 Good luck–and happy camping! Thank you so much for this article! It is always a hassle to store everything when you don’t have a room for it. Are you planning an update soon?